Over the last few days I have presented data for Arizona, Washington and Utah showing massive cooling trends in January for the last 15 years. I did something similar for HADCET last month. 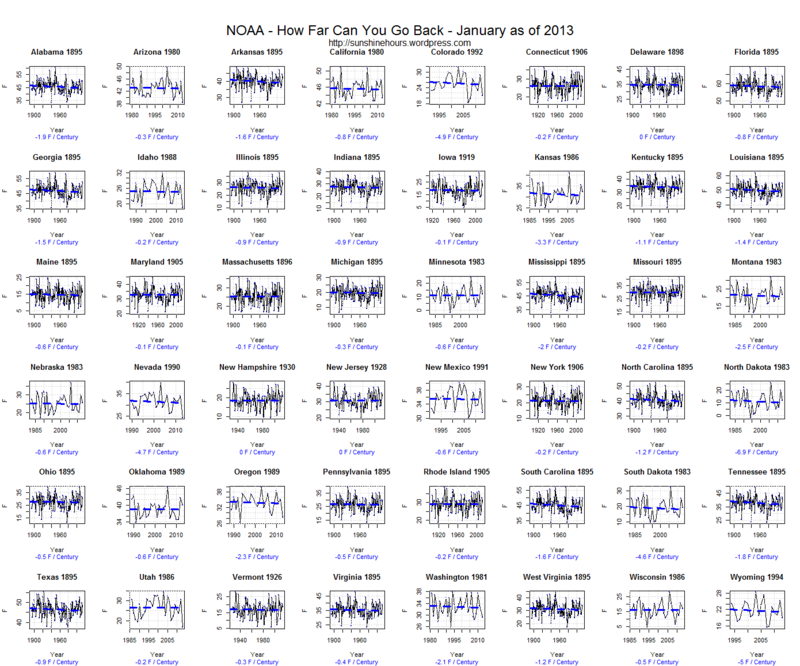 So I thought I would do the same “How Far Can You Go Back” for the lower 48 states for January. I was somewhat surprised. 20 states have a negative trend from 1895 (the beginning of the NOAA data). Alabama in January (for example) is cooling at -1.9F/Century since 1895. 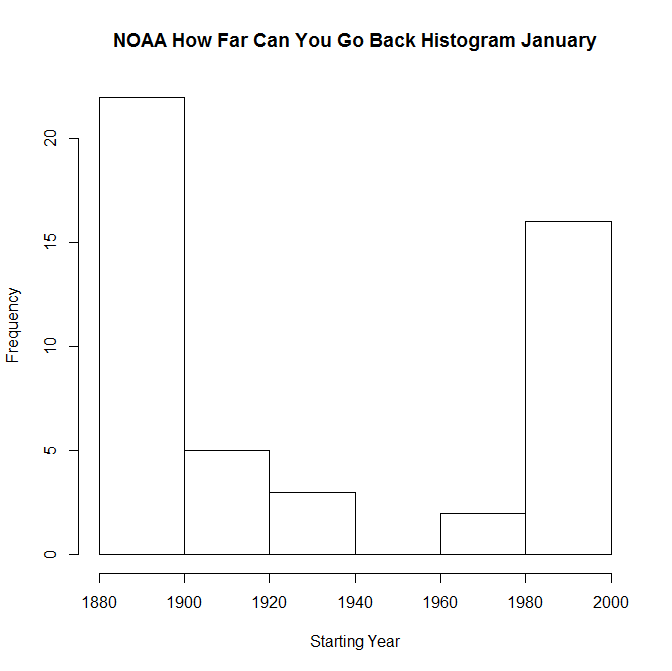 You can check NOAA’s data here if you like. I did, just to make sure.